The Jamaica Bay Resiliency Plan addresses flooding and long-term ecological, social, and infrastructural resiliency with three design strategies: the improvement of water quality and hydrologic flow and circulation throughout the bay, the enhancement of coastal verges at back-bay communities, and the development of atoll terraces to increase sediment capture via the natural processes of an “island motor” at the salt marsh islands. The Resiliency Plan is a framework for a scenario unfolding to full completion over three projected construction phases: Phase I, completed in 2025; Phase II, completed in 2050; and Phase III, completed in 2090. 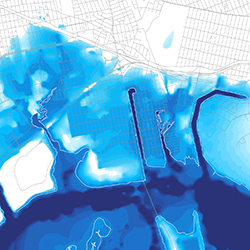 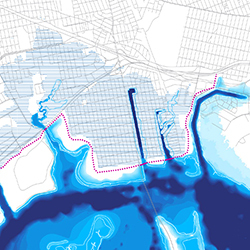 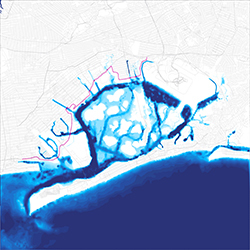 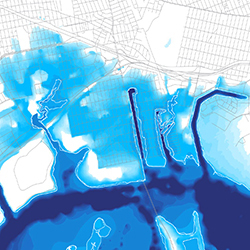 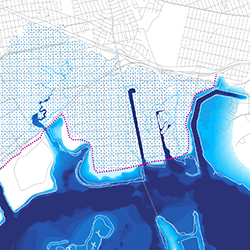 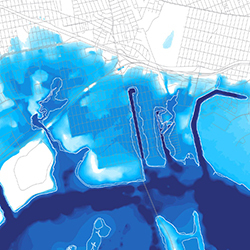 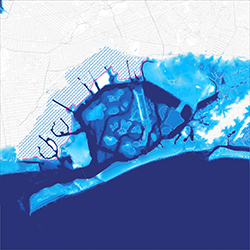 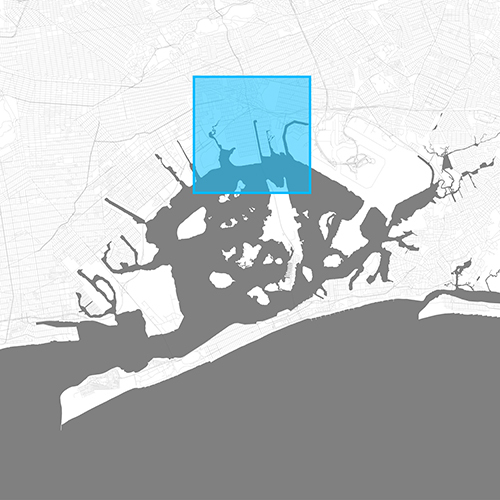 This case study shows detailed flood projections for the low-lying communities of Lindenwood, Howard Beach, Old Howard Beach and Hamilton Beach at the northern edge of Jamaica Bay. 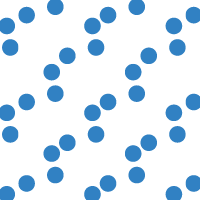 Frequent low-level storm events and very high tides result in neighborhood flooding. 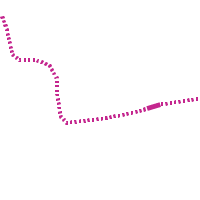 Existing dense vegetation and areas of high ground in Spring Creek Park provide some buffering capacity from surge events. 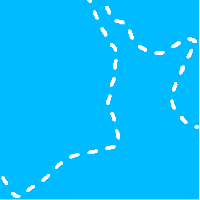 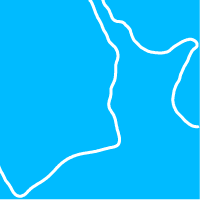 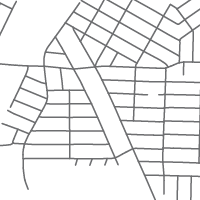 Creating closure structures at the inlets and connecting existing high ground with the Belt Parkway would provide continuous protection. The Resiliency Plan for Howard Beach unfolds to full completion over three projected construction phases: Phase I, completed in 2025; Phase II, completed in 2050; and Phase III, completed in 2090.